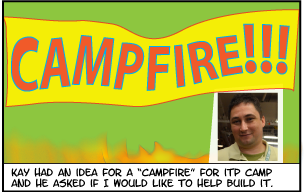 I helped fellow camper Kay Anar build a “campfire” last week at ITP summer camp. Here’s a photo comic that documents it. It was fun!